Blogging has become a popular means to indulge yourself constructively while getting a monetary reward for doing it. Yes, it’s possible to earn money from your blog, so much so that more successful bloggers are quitting their day job to concentrate on blogging full time. With this blog, I do earn a sizeable income. Here’s how you can start your blog with just $20. Enjoy this guest post from Tina, who talks about how making money through blogging is a possibility. Making money via blogging has caught the attention of many internet-savvy persons who have the ability to impress and convince people with their writing on any or a particular subject. The number of successful bloggers could have been more but unfortunately, many of them are not clear about how to do marketing of their blogs or generate money through their write-ups. Here I have dished out some easy-to-follow tips on how to put your blogs to good use for money making. My math teacher used to iterate a simple line to help most of the students in class break out of their math phobia. “If you love water, water will love you”! It’s very true in whatever you do. Don’t start writing on a subject that you are not interested in or have no knowledge about. Feeling passionate about the subject is most important. There are various topics to write on. For instance, hobbies, travel, food, career-related subjects or anything that you have knowledge about. First, decide who is going to be your target audience. There are some blogs that post funny images and videos about different topics. The idea is to generate money by eliciting laughter from the viewers. If contents are really good and funnier, such blogs get a good response from the target customers, thereby drawing the attention of the advertisers. Some blogs cater to the taste of specific people who want to be fed with social media news. Mashable is one such blog that came into being in 2005. Started by a teenager, it’s annual earning now runs into millions of dollars. One effective way to make a fortune out of blogging is to consider the fields that are less competitive, but readers want to know about them. Attracting visitors is most important to be a successful blogger. Select a particular niche like how gymnasts take preparation for Olympics. It pays when you avoid writing on a common topic though still continue with the subject that you are interested in. Choice of a topic is directly related to the area of your interest, what your target readers want to know and your long-term goals. Also, look into other factors including the amount of money to be spent on products if your blog is about reviews on them. Most of the starters often take off by posting their blogs on Google Blogger or WordPress.com. Such options are particularly good for those on a shoestring budget or have no idea about web designing. Such blogging platforms also offer ease and flexibilities of use, which cannot be ignored at all. Both of them have some restrictions that the bloggers are required to follow. You must know about these limitations before using any of them. It is always a better idea to own web hosting for your blog. You have to pay fees monthly or yearly. The advantages of owning a web hosting for blogging is it will provide you with more control and customization. You will have a direct and quick access to details on traffic to your blogs. If you want to monetize your blog, buying hosting a self-hosted blog is a must for earning money from your blog. Choose a domain name that is relevant to the topic of your blog. Make sure that the domain name is easy to remember for you. I tried Hostgator, GoDaddy, Bluehost but we are now hosting at SiteGround. I feel this is the best hosting service that you can get. In case, you have to decide to go with free service, read the guidelines about how to customize your blogs. If you want to host your site, you have more options to customize the blog. Many blogs hosting services have offers of paid upgrades that facilitate better customization as well as provide a number of benefits. However, I would suggest that you should opt for free versions while starting and stick with the same until your blog becomes a hit with the target customers. The freshness of content: Originality is a priority for the readers. Remember that there are several bloggers around the world and they are writing on the same topic and in the same language. If you want to enjoy a good flow of traffic, your content must be fresh though that is not enough to enjoy success. However, originality of content is of primordial importance. Your readers must not feel that it is a ‘copy and paste’ work or there are little twists to someone’s creation. Create your own style: Every successful blogger has his/her unique style. Never copy other’s style; instead, develop your own. If your style and subject are liked by the visitors, they will keep visiting your blog. They will not like the duplicate style or write-up easily available online. Relevance: Apart from uniqueness, you have to be focused on the relevance of the content. There must not be any mismatch between the title and body of the content. The readers will decide to go through your blog after having a glance over the title. If they find the body of the content is not relevant to the title, they will hardly return to read your blogs. 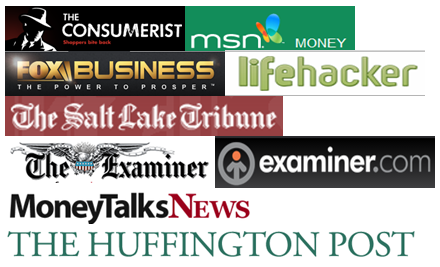 Information that is not easily available elsewhere, news on current events, tips etc are liked by the readers. Unusual topics: Writing content on the topics that are less available online will help you gain more visitors leading to more income. For example, you can write about fashion in the 16th century and/or artwork of that era. Last but not the least, your content must be pleasant reading; otherwise visitors will not spend their time to read your blog and comment on it. Blogging by fits and starts! Well, that will not make your dream of a monetizing blog come true. A stagnant blog will never make the blogger a successful name. Make sure to update frequently, at least once in a week while two/three will be a better option. Every time you post, make sure that it is based on a new topic in the same niche. Keyword selection & placement: For your blog to earn money, you need to have some effective marketing strategies in place. Start with choosing appropriate keywords for each of your blog posts. The keywords must be related to the theme of your content and should be those frequently searched by the prospective visitors as it will contribute to the visibility of the blogs, drive more readers and step up the chance that they will click on advertisements listed on your site. For every professional blogger, there is a wonderful tool namely Google Keyword Research that will give you a fair idea of how much the advertisers are required to pay Google for keywords. Place the keywords in your blog title and important headers, links and the first sentence of the blog though not at the starting. Place article links in blog directories and social media: Make an optimal use of the most popular social media platforms like Facebook, Twitter and other sites for frequent updates. These platforms are easy to locate blogging communities matching readership. Set up links to relevant articles on their forums or comments. It will bring traffic to your blog as well as give your site an improved ranking in the search result pages. Rely on cross-linking: You will meet a number of bloggers on blogging and social media sites. Propose advertising each other’s articles if the subject matter is targeted at the same kind of audiences. Remember overdoing of cross-linking is strictly not allowed by free hosting service providers. In that case, link to others’ blogs only occasionally and only if they can serve the purpose of your target traffic. Marketing via paid advertisements: Money begets money! If you can spend money to win the audience, create your own Facebook ads. You can even use Google AdSense to be an advertiser. StumbleUpon also gives you a chance to add your blogs there. Going Viral: It offers no guarantee of success though is used for fun. If you can generate interest in traffic by posting an exciting image or video to share, you will surely enjoy an unexpected flood of readers to your blogs. Contextual ad service: Once your blog starts attracting audiences, you can use contextual and services such as WordAds, Google Adsense etc. These ad services generate ads automatically according to your specified size, placement, and other criteria. Every time a reader clicks on the ads, you are paid by the advertisers. Consider an affiliate program, which you think, will be suitable for your blog. This way, you agree to set up links to products of a company that pays you every time a reader makes a buy after following the link. Following all or many of the above-listed tips will help you enjoy a good return on your little or no investment. 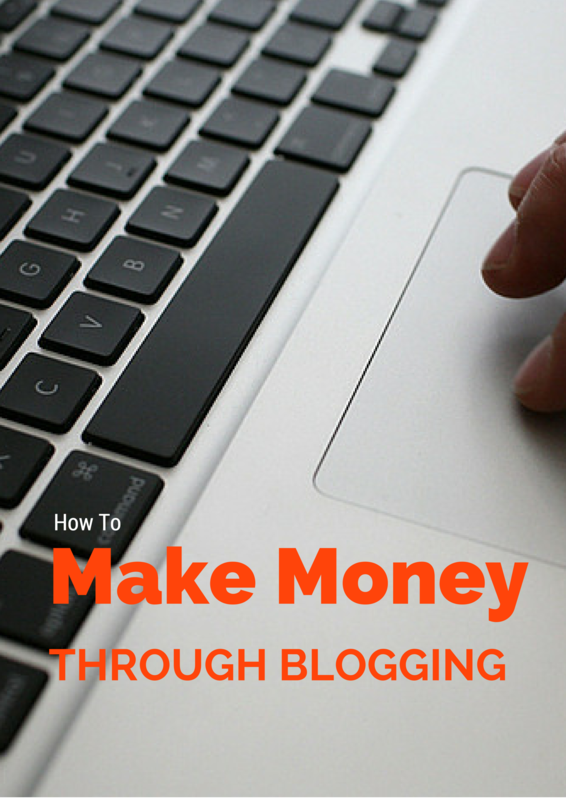 The most successful bloggers earn millions of dollars yearly from their creations. There are no reasons to hurry, instead consider what is possible for you to monetize your blog. Remember that whatever marketing strategy you apply; the unique and catchy content has no alternative. It is the backbone of your blog. If it reads good and relevant, even a simple marketing technique will bring you surprising return.